EU energy labels have become a common sight in home appliance showrooms - they're found on a selection of white goods and other products and are designed to help customers see how energy efficient a model is before they buy. But what exactly does an energy label tell you about a particular item? We've been taking a closer look at how appliances are awarded an energy-efficiency rating, how you can compare models and what you should look for when you're out shopping. 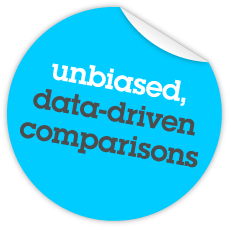 Energy ratings aren't comparable across different products, because each is calculated using a specific test defined by the EU and appropriate to that appliance. 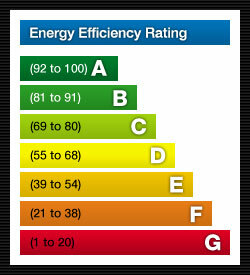 An EU energy label can give you a good at-a-glance evaluation of how energy efficient a product is. But using it to decipher which product is the most energy efficient on the market is less straightforward - particularly when a large number of models receive the same energy rating, or if the rating is calculated in a way that's not representative of how people use a product in real-life. All of the above products are legally obliged to display energy efficiency information at the point of sale - if you can't see it, ask for it. If you're comparing two A-rated appliances, look more closely at the energy consumption calculation data found on the label to find which of the two uses the least electricity. Some of the detail found within the label itself can be handy - such as washing machine capacity or noise - if you go equipped with a rough idea of what's good, bad and average. Refer to the product-specific pages within this guide for more information. You may find more than one energy label on a product - such as the Energy Saving Trust's Energy Saving Recommended label, or the EU's Eco label accreditation scheme. New A+, A++ and A+++ energy ratings for fridges, washing machines and dishwashers - the new labels have already been launched on a voluntary basis from December 2010, and will be made compulsory for all new models on the market to carry by December 2011. New A+++ energy ratings for fridges - the current label already carries A+ and A++ ratings; new fridge models must carry the updated label from 30 November 2011. An A to G energy labelling system - which will look similar to the labels found on other household products - for televisions was launched at the end of 2010 for use on a voluntary basis, and will be made compulsory for all new models to carry by 30 November 2011 (the labels are additionally due to change to A+ to F from 2014). Re-calibrated refrigeration energy ratings to make it more difficult for models to score an A+ rating from July 2014. Energy labels for more products including vacuum cleaners, windows and shower heads - we'll keep this guide updated as the full plans are unveiled. Look out for a transitional period in 2011 where you could be faced with different energy label designs for the same product, as some manufacturers apply the new rules, or where some but not all TVs carry an energy label.